• The Link: "I had driven to my parents' house in Redlands with Alexis to spend the day with my mom and my mom and I both really wanted to get out in nature. I've always loved being in nature but even more so since losing Logan, it somehow feels healing. Anyway, so we drove to Forest Falls and the three of us were having so much fun just climbing over the rocks and being silly. And then, suddenly, as so often happens these days, I was hit with this incredibly intense wave of grief. I have no idea what triggered it. I didn't start to cry but was just riding out the wave of sadness and Alexis looked at me and looked into my eyes and just knew, she always does. Usually, she gives me a hug and she'll say something like "It's ok Mama, I know you're sad" or "I know you're sad about the baby Mama, we all are." This time, she said "Mama, I want to give you something." 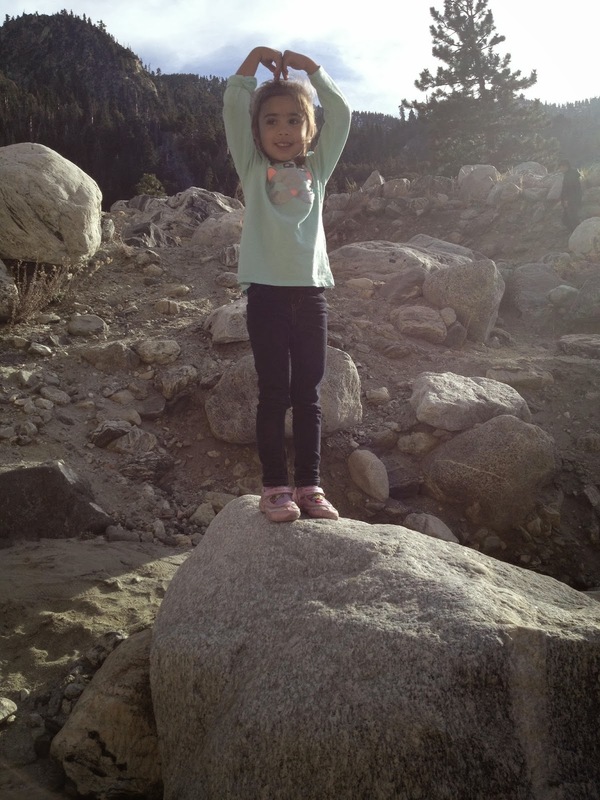 Then, she climbed on top of this rock, made a heart, and said "A heart. Because I love you so much Mama!" It was the sweetest thing and, even in that moment of intense grief, she made me smile. She has an uncanny ability to make me smile or laugh when all I want to do is cry. I am so grateful for her. And I feel like, especially in those moments, her beautiful big heart is doing what it can to heal my own heart."